Last week saw the official launch of a new Scottish long distance walk, which will open in 2014 and run from Dunbar on the North Sea coast to Helensburgh on the Firth of Clyde. The launch at the Scottish Parliament was hosted by Colin Beattie, MSP, and the Central Scotland Green Network (CSGN) and supported by the John Muir Trust. The new trail, to be called the John Muir Coast to Coast Trail, will be approximately 100 miles long, extending the existing John Muir Way. From the conservationist’s birthplace of Dunbar the route will follow the coast to the Forth Bridges, then head across Scotland’s industrial heartland, passing the Falkirk Wheel, before heading into the Loch Lomond and the Trossachs National Park to reach Helensburgh which is close to where John Muir set sail for America. It will be possible to link the route to existing long distance routes, the West Highland Way and the Berwickshire Coast Path. John Muir left Scotland aged 10, in 1849. He later went on to campaign for national parks in the United States and the preservation of wilderness areas. He was one of the driving forces behind the establishment of Yosemite National Park and is generally a more well known conservation figure in the USA than in Britain. 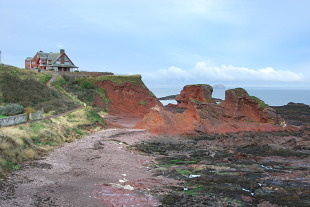 The existing John Muir Way stretches for 73km along a mainly coastal route in East Lothian with some stunning scenery including views of the Bass Rock and North Berwick Law.